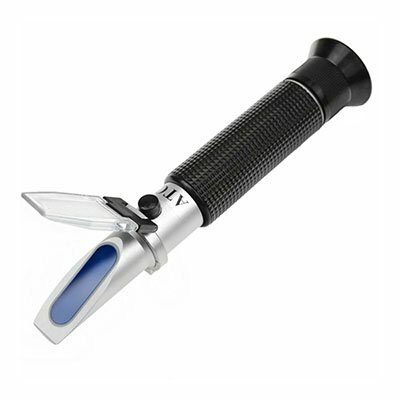 To find the best refractometers I consulted the experts on each of the above subjects, scouted forums, and tested some of them myself so you wouldn’t have to. Here are a couple of quick reviews of the top 3 Refractometers of 2019. This is hands down the best refractometer for brewing, honey production and wine making. It’s fairly expensive, but it also has the largest Brix range out of all of the ones we tested so you can work with beer and wine (brix range 0-32) and then use this same product to check the amount of water in honey (brix range 75-90). It’s expensive compared to the rest of the items on this list because it’s the only digital refractometer on here. Other digital refractometers can go as high as $500-$10,000, but this one provides the biggest bang for the buck. The refractometry measurements change based on the temperature of the substance, but since this products accounts for the different temperature, you don’t have to worry about that. Just put the sample inside the refractometer and wait for a minute or so for the sensor to get to the same temperature as your sample. Don’t forget to clean the refractometer between uses so you don’t contaminate your future samples and get skewed results! 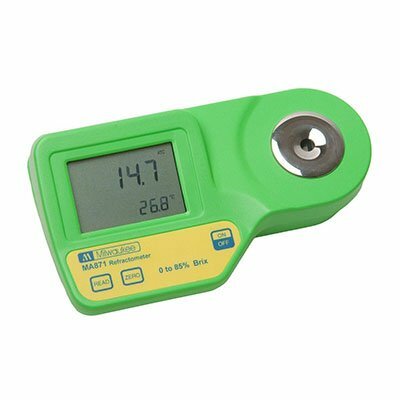 You should only buy this refractometer if you plan on using it to measure the salinity of water. 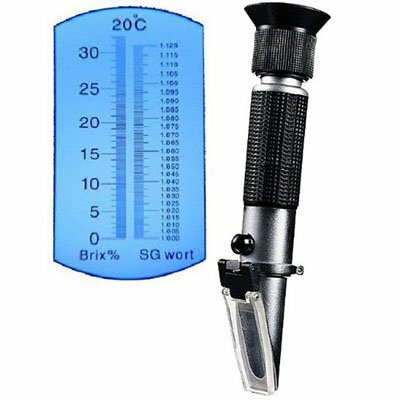 It’s a high quality product, but it does not have a Brix scale so if you’re looking for a refractometer for brewing beer or something else sugar related then this one isn’t for you. Put in some distilled water or reverse osmosis water. Overall this is a great product, and it’s highly recommended by people in the industry. This product is perfect for you if you’re looking for a durable and cheap device for brewing or wine making. It can measure the specific gravity of wort, and it quickly cools hot wort to an acceptable measuring temperature. 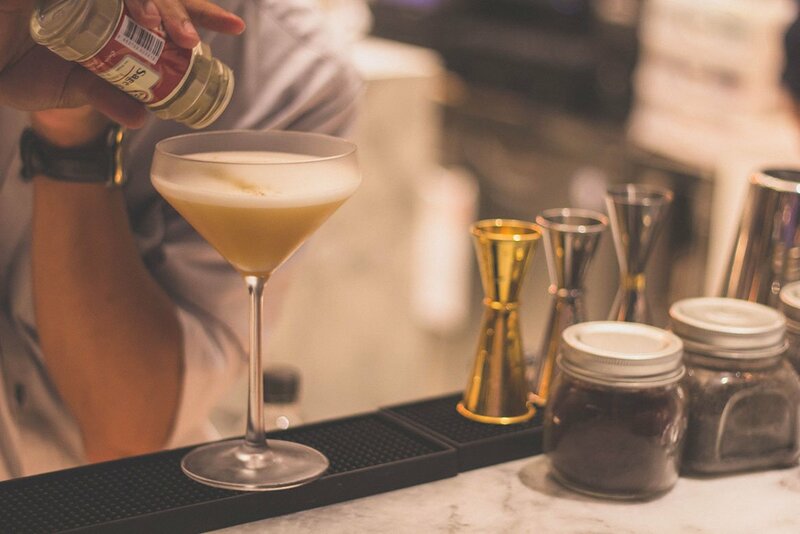 Keep in mind that you can only measure original gravity with refractometers. 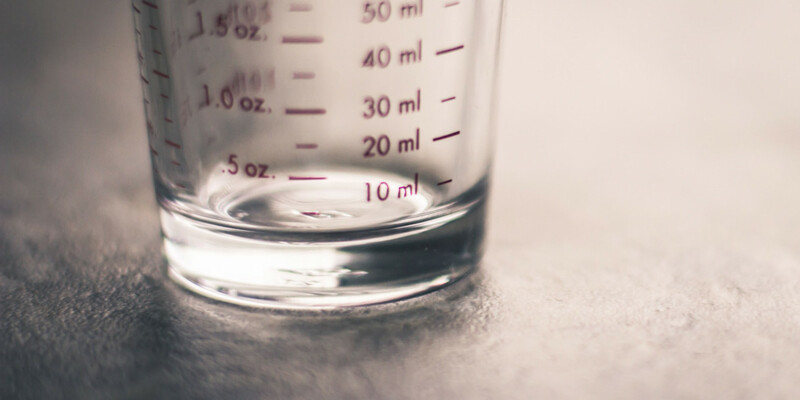 If you want to measure the gravity of your product after fermenting, you need a hydrometer. My device came already calibrated, but some people had to recalibrate theirs at home, so make sure to check yours right after it comes and calibrate it with distilled water if needed. It does measure Brix, but it can only go from 0-32% so sadly you can’t use this product with honey or maple syrup making. This product is very highly recommended on many online brewing forums, and one of my friends, who is a fairly experienced brewer, is in love with it. Refractometers work by measuring the index of refraction and they’re used in many fields. Here’s a quick summary of their possible uses. A refractometer is used to measure the amount of sugar in your wort. You don’t need to do any conversions when getting the specific gravity before fermentation, but if you’re trying to get it after then you should use a hydrometer. Most reefs require a very specific level of water salinity and a refractometer allows you to measure it and make sure that it’s at the level that you want. Refractometers are used to measure the level of moisture in honey in order to figure out if it’s the right time to harvest it. If the moisture level is too high the honey can ferment and you’ll have lots of unhappy customers. The right level of moisture in honey is around 17-19%. Calibrating most refractometers is simple. Put a drop of distilled(or reverse osmosis water) into your refractometer. If your refractometer has a screw, turn it until the visible shadow inside the eyepiece falls on the zero mark. If it doesn’t have a screw, read the manual that comes with your device, as most digital ones have different zeroing methods. Using it is also incredibly simple. Make sure that the surface/inside of it isn’t contaminated. Put a couple drops of the substance you’re testing inside the refractometer. Read the output on the screen(if it’s digital), or look inside of it to see where the line falls. There are a couple different types of refractometers. There are simple ones with almost no moving parts. There are the more expensive digital ones, and there are the crazy expensive high precision lab ones. Most people have no need for the high precision ones as the Milwaukee one should be enough. There are many different types of refractometers out there, but there’s no need to shell out hundreds of dollars for expensive ones without understanding your needs. The three products reviewed above should be enough for 99% of the people out there, and if you have to ask yourself if you’re in that 1% that needs a more expensive “better” product then you don’t need it.